Doctors love coining new terms , and this seems to be especially true for IVF specialists. Infertile couples have to learn a whole alphabetic potpourri of medical terms - ranging from IVF to GIFT to ICSI to ZIFT. It's easy to get lost and confused; and most patients can't seem to make sense of any of these ! To add insult to injury, many IVF doctors claim to use "the new and latest" technique to improve pregnancy rates. Obviously, every "new" technique needs a new name - so the confusion gets compounded. It's a competitive business, and IVF doctors always try to keep one step ahead of other doctors ! While this is good because it allows patients access to the newest technology, the downside is that many doctors will then promote a particular technique – not because it is better, but simply because it is new ! It’s easy to get a lot of press coverage for a lot of these “new” advances, because reporters are often not medically sophisticated, and most are quite happy to oblige their doctor friends. Poor patients get even more confused – and will often flock to the doctor featured in the latest article, in the hope that this new technique will give them a baby ! This then sets up a vicious cycle, where doctors compete with each other, in order to be featured in the press. It often becomes a game of one-upmanship, where the doctor with the best PR firm wins ! The newest kid on the block is a term called IMSI ! This stands for Intracytoplasmic Morphology Selected sperm Injection – quite a mouthful ! This is simply a modification of the standard ICSI technique, in which the sperm are magnified even further. The rationale is very logically appealing – let’s use higher powered magnification, so we can select the “best “ sperm for ICSI ! One would therefore expect that this technique would result in higher pregnancy rates after ICSI. Unfortunately, this is not true in real life. Not only does IMSI not improve pregnancy rates as compared to ICSI, it can actually decrease them. The reason is simple - IMSI takes longer to perform than ICSI because it's much harder to identify sperm when using such high magnification. At such a high power, the field of view is obviously very limited, which means that the embryologist has to scan for much longer to pick up the selected sperm. 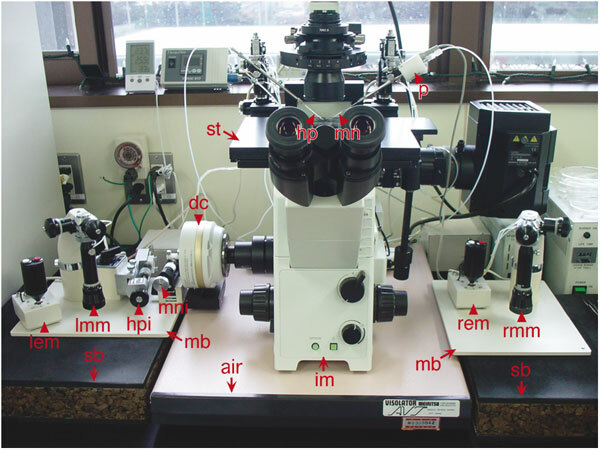 This means that the embryologist has to keep the fragile eggs ( into which the sperm have to be injected ) on the micromanipulator for longer while doing IMSI, and since eggs are very sensitive, and do not like being kept outside the incubator, this extra exposure can cause them to get damaged. However, it's very easy to take patients for a ride, and many clinics are now pushing patients who have failed ICSI cycles in other clinics to do IMSI, claiming that the success rates are higher with IMSI. Caveat emptor - let the patient beware ! More is not always better - and often established techniques are much better than newer ones !